WASHINGTON — It’s the biggest of films; it’s the smallest of films. A tale of two film fests. One accepts movies from around the world. The other focuses strictly on D.C.-area filmmakers. We’re talking about the renowned Sundance Film Festival, which kicks off Thursday in Park City, Utah, and the underdog Rosebud Film Festival, which kicks off Saturday in Rosslyn, Virginia. 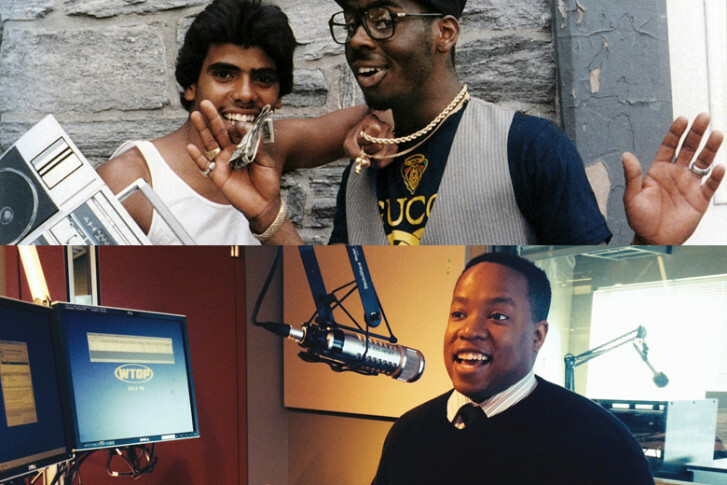 David Vollrath, a native of Annandale, Virginia, is making his Sundance debut with the world premiere of his new documentary, “Fresh Dressed,” about hip-hop’s influence on fashion throughout the 1990s, from fat-laced Adidas to Kangol hats to Cazal shades. The 82-minute film is directed by Sacha Jenkins, who landed interviews with insiders such as Pharrell Williams, Damon Dash, Karl Kani, Kanye West, Nas Jones and Andre Leon Talley. Vollrath served as director of photography, after developing a love for the lens in the photography darkrooms of middle school. He honed his skills during a two-year film program at Annandale High School, graduating in 2005, before studying cinema at Elon University, in North Carolina. “It was an evolution moving from still photography [to] moving images,” Vollrath tells WTOP. A week after graduation in 2009, he moved to the “happening spot” of Williamsburg, Brooklyn, and began cold-calling production companies to find work on film crews. He now lives in Prospect Heights, near the new Barclay Center, home of the Brooklyn Nets. He recently shot a music video for the Queens rapper Action Bronson, as well as a series of “Artists to Watch” for MTV. His favorite experience came eight months ago, when he came back to D.C. to shoot the 20th anniversary of Nas’ “Illmatic” with a 72-piece orchestra at the Kennedy Center. This passion for hip-hop carried into his Sundance debut. The world premiere at Sundance will be Vollrath’s first time at the festival. He has rented a place with four friends and will stay for eight days juggling film screenings, festival parties and snowboarding. Back here on the East Coast, Vollrath’s family is gushing with pride in Annandale. If you can’t make it all the way out to Sundance, you can stay in the D.C. area for a film festival, too. The Rosebud Film Festival returns Saturday for an annual event that dates back to 1990. “Instead of this being your Sundance, where you’re going to get these big-budget commercial films, we really do look to find unusual, experimental, deeply personal films that we can bring to the public,” says festival director Kevin Sampson, who accepts films strictly from D.C., Maryland and Virginia. “To me, it’s being able to take a film festival that tries to champion the underdog,” Sampson says. This year’s edition will feature a red carpet with step-and-repeat interviews. The filmmakers will also appear on Sampson’s local cable show, “Picture Lock,” produced by Arlington Independent Media. Like Vollrath, Sampson is no stranger to hip-hop videos, having directed his own music videos and shot a concert for both Arrested Development and Wale in Richmond, Virginia. This first-hand experience as a filmmaker has affected the way he’s constructed the festival. This year’s slate includes some spine-tingling entries. “Dark Therapy” is a short horror comedy based on the ironic premise of a vampire seeking treatment for hemophobia. “The Goblin Baby” is a supernatural thriller with a feminist take on the first year of motherhood. And “Ta” is based on the filmmaker’s own uncle, who performed a series of exorcisms over the years in Thailand. The festival received close to 70 submissions, which a panel of judges whittled down to 20 finalists. The top five will be honored Sunday during the awards ceremony from 7 to 10 p.m. at the Clarendon Ballroom, where yours truly will open one of the envelopes. As for the screenings, it’ll be your last chance to experience Rosebud at its usual location, the Artisphere in Rosslyn, Virginia, from 1 to 6 p.m. A few months back, Artisphere announced it would be closing due to a lack of funding, making this weekend a swan song of sorts.